Are you a Lovecraft fan? Like playing lots of horror games? 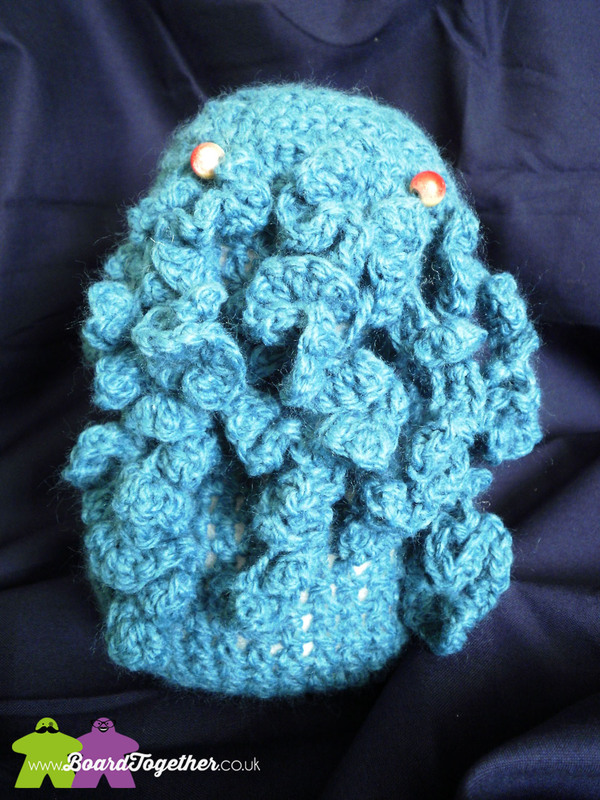 Actually just wanted a cute and cuddly Cuthulhu to brighten up your games room? Look no further. I have created a crochet pattern so you can make your own. The pattern is in English, but easy enough to translate to American abbreviations if needed. 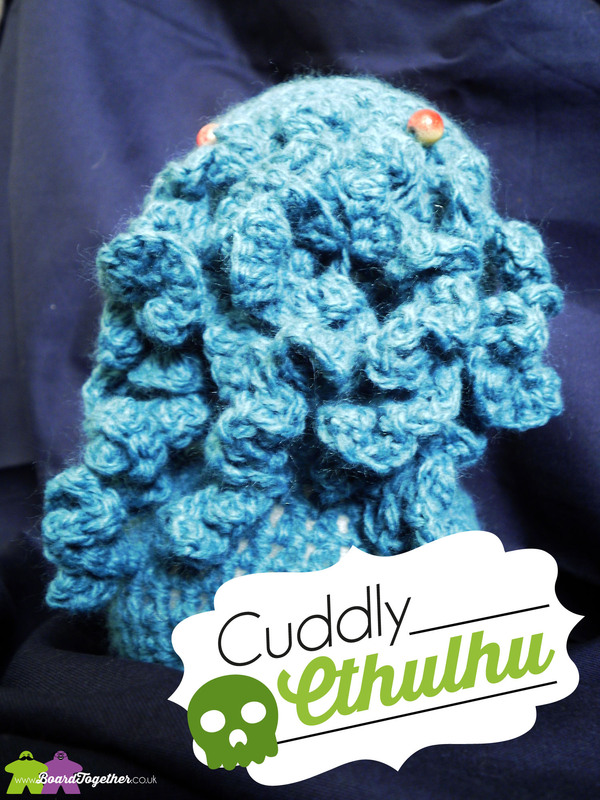 Have a go, post your piccies here or on our facebook page for us to squee over all the cute Cuthulhu’s! If you have no idea how to crochet, pop over to Pintrest and type in ‘How To Crochet” you are bound to find a tutorial to help you. This is a fairly basic pattern that beginners should be able to get on with after a little practice. 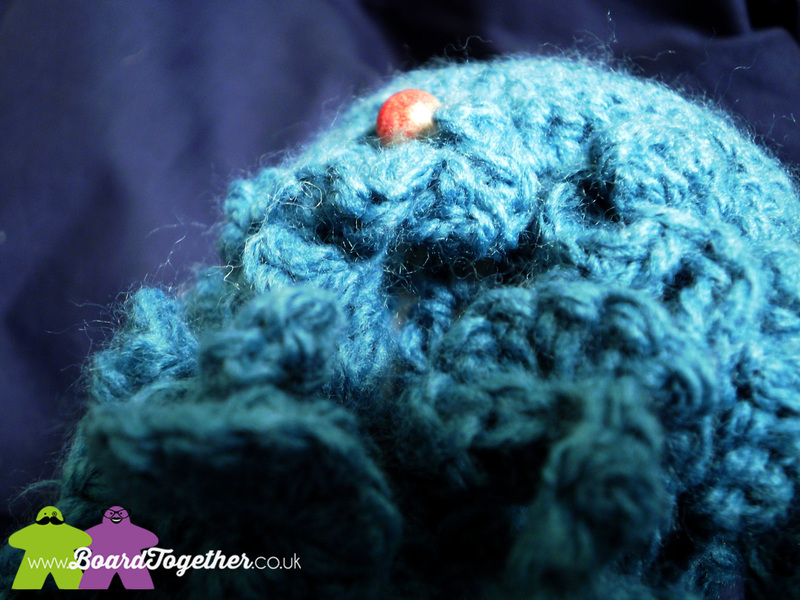 Finish Off – leaving a long tail, Stuff as required, pull thread tight and secure hole closed. Cthulhu Is Watching, always watching!